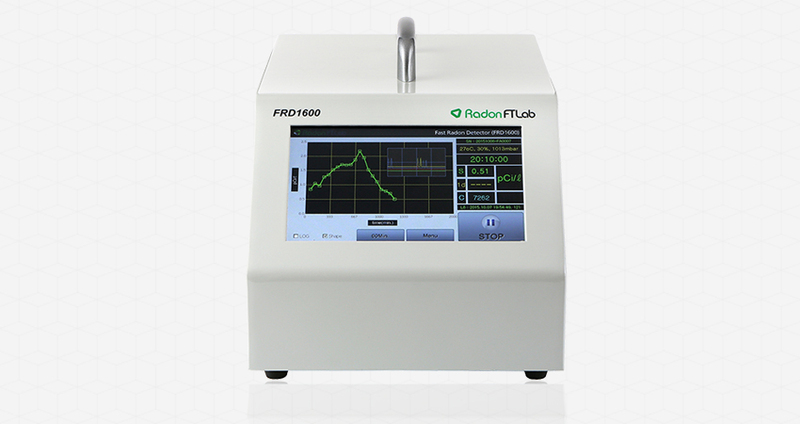 FRD1600 is a fast & precision radon monitor. 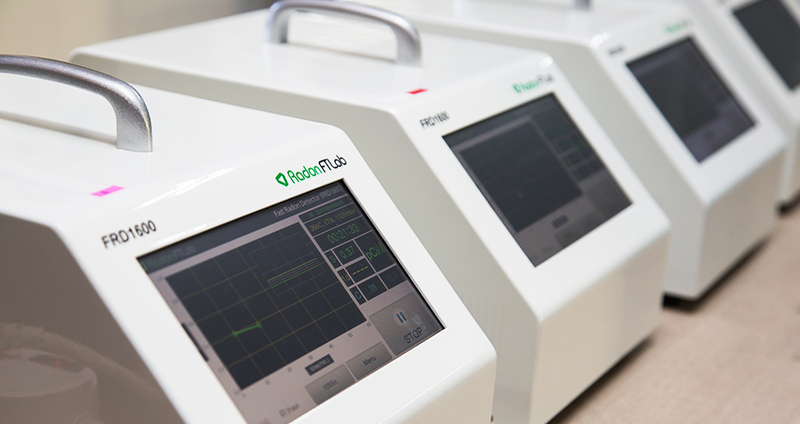 It’s sensitivity is 3cpm/pCi/l by 1.6liter pulsed ion chamber & FTLAB’s high stable special circuit technology. Minimum inspection time is just 10min after measurement start. Also the accuracy is < ±3% at 10pCi/l. Also wide 7inch touch panel display gives user’s convenience. Real time analog detection waveforms as well as Radon concentration graph would be very useful insight to investigate the radon characteristics.